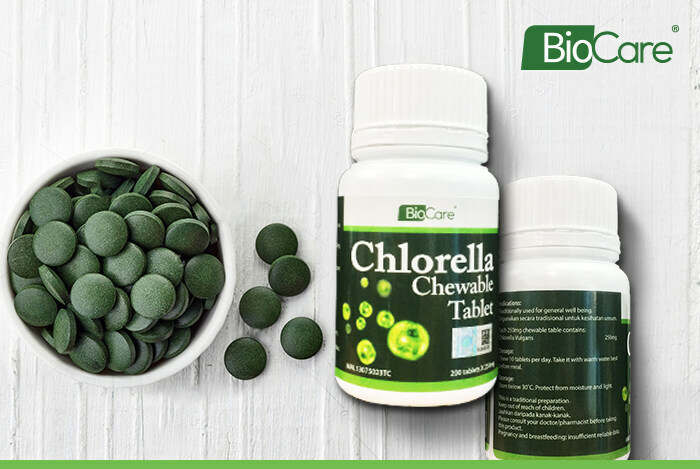 CHLORELLA IS A GREEN ALGAE WHICH IS FAMOUS FOR ITS NUTRITIONAL PROPERTIES. IT IS NATIVE TO CHINA, JAPAN AND TAIWAN AND WAS INITIALLY USED AS A NATURAL SUPPLEMENT BY TRADITIONALISTS WITHIN THE ASIAN VICINITY FOR VERY MANY YEARS. IT IS CONSIDERED BY MANY AS A SUPER FOOD DUE TO ITS HIGH CONCENTRATION OF PROTEIN, FAT AND OTHER NUTRIENTS. 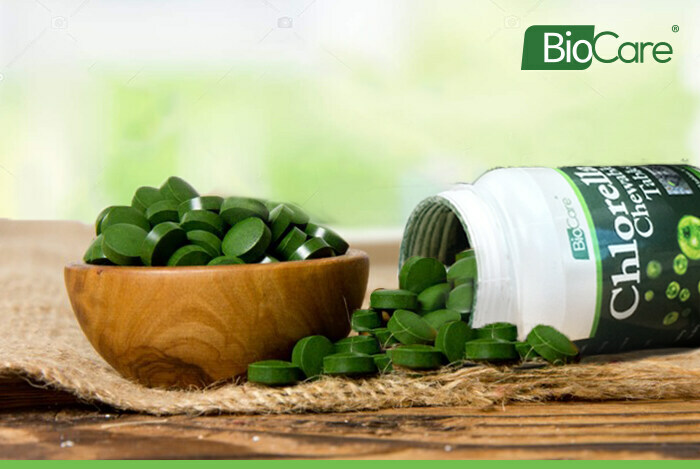 THE “CHLORELLA GROWTH FACTORS” WHICH IS A WATER SOLUBLE EXTRACT THAT CONTAIN AMINO ACID, PEPTIDES, PROTEINS, VITAMINS, SUGARS AND NUCLEIC ACID. IT HAS MORE NUTRIENTS PER GRAM COMPARED TO SPINACH, KALE AND EVEN BROCCOLI. IT IS MAINLY RENOWNED FOR ITS ABILITIES TO DETOXIFY THE SYSTEM AND EVEN MORE TO BOOST THE IMMUNE SYSTEM. INDICATIONS: TRADITIONALLY USED FOR GENERAL WELL BEING. DIGUNAKAN SECARA TRADISIONAL UNTUK KESIHATAN UMUM. CHEW 10 TABLETS PER DAY. TAKE IT WITH WARM WATER BEST BEFORE MEAL. STORE BELOW 30˚C. PROTECT FROM MOISTURE AND LIGHT. THIS IS A TRADITIONAL PREPARATION. KEEP OUT OF REACH OF CHILDREN. JAUHKAN DARIPADA KANAK-KANAK. PLEASE CONSULT YOUR DOCTOR/PHARMACIST BEFORE TAKING THIS PRODUCT. PREGNANCY AND BREASTFEEDING: INSUFFICIENT RELIABLE DATA.